WS16 Work Stool — Computer Comforts, Inc.
Workstools shouldn't require so much attention that adjusting them becomes a job unto itself. This low-maintenance, easy-to-clean and affordable workstool is the perfect solution for any workplace or specialty application. Low maintenance and easy to clean stool. 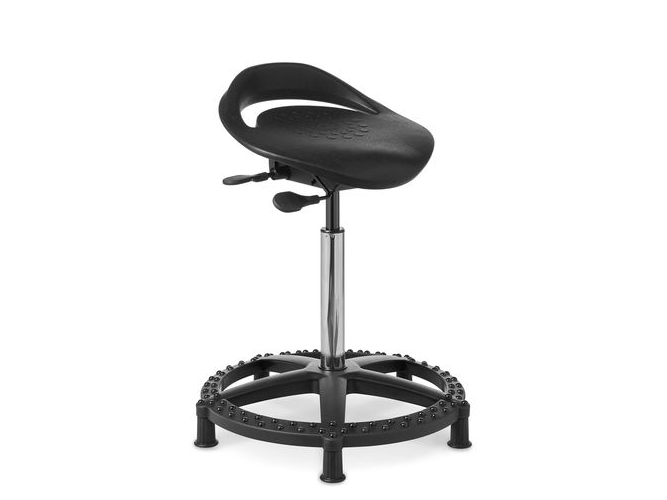 20 degree tilt mechanism; Angle the seat downward to use the stool for leaning support in semi-seated position such as CAD drafting, physician offices, labs or factory settings. If casters are desired, Reverse braking casters are available.